Family attorney Michele Rayner said “the ultimate goal is conviction.” At a news conference Monday afternoon, relatives of McGlockton said they were pleased with the charge. 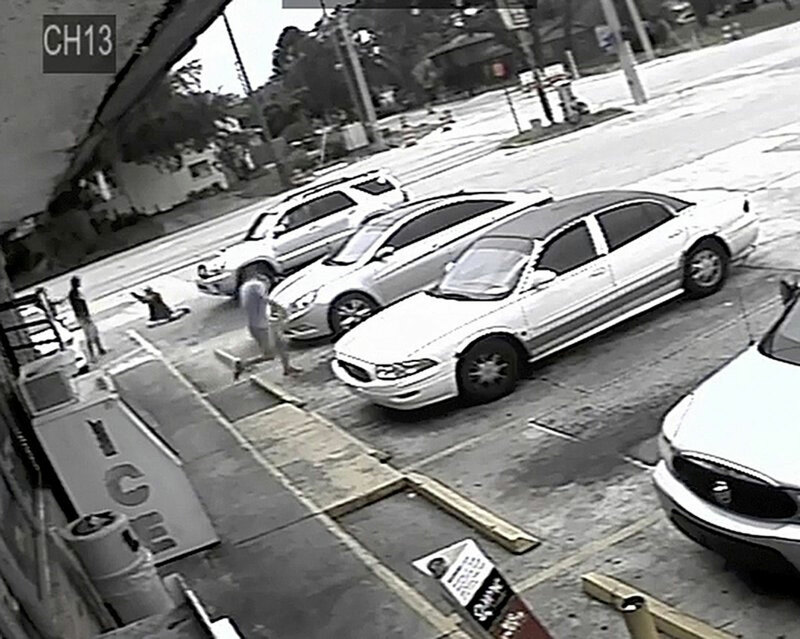 Prosecutors charged a white man with manslaughter Monday in the death of an unarmed black man whose video-recorded shooting in a store parking lot has revived debate over Florida’s “stand your ground” law. Family attorney Michele Rayner said “the ultimate goal is conviction,” and that she believed manslaughter was the correct charge. She also noted that Monday was bittersweet. “It’s little Markeis’ first day at school,” she said, referring to McGlockton’s 5-year-old son. McGlockton’s girlfriend, Britany Jacobs, who was seated in the couple’s car with two of their children, ages 3 years and 4 months, said Drejka confronted her for being parked in a handicapped-accessible space. McGlockton, 28, had gone into the store with young Markeis. “This self-appointed wannabe cop attempted to hide behind ‘Stand Your Ground’ to defend his indefensible actions, but the truth has finally cut through the noise,” Crump said. Gualtieri said in a statement Monday that he supported McCabe’s decision. Drejka pulled up in his SUV seconds later, parking perpendicular to Jacobs. Drejka got out, walked to the back of Jacobs’ car, looked at the license plate, and then went to the front, where Jacobs told Moffett that Drejka began yelling at her. Crump also represented the family of Martin, a 17-year-old black youth who was fatally shot in 2012 by George Zimmerman, a Hispanic man who was his Orlando-area neighborhood’s watch captain. Zimmerman had confronted Martin, who was walking back to the home of his father’s fiancee after making a purchase at a convenience store.